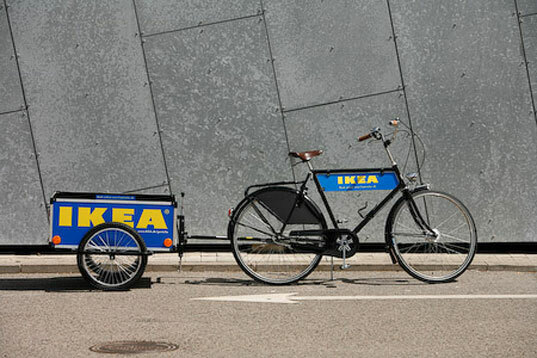 Now if we could just get IKEA in Providence! Home / News / Advocacy / Now if we could just get IKEA in Providence! 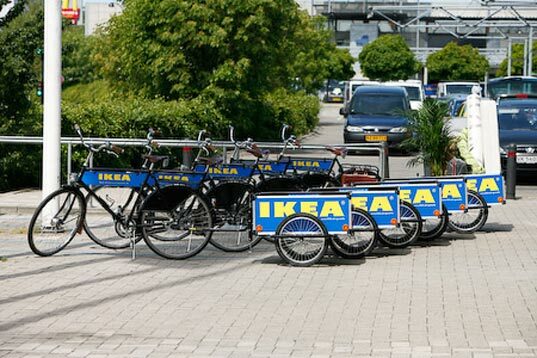 IKEA, that patent purveyor of all things flat-pack just announced that it has just teamed up with Velorbis to offer an exciting new service to its Danish customers: bike trailers. 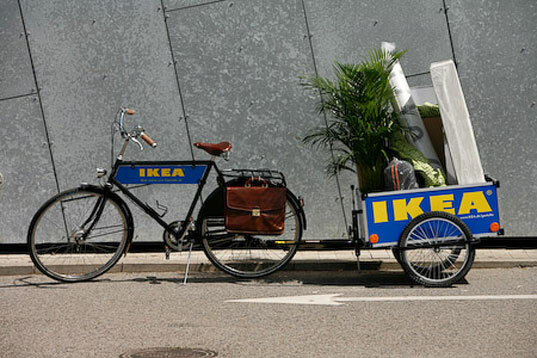 The arrangement will supply IKEA stores with a fleet of free trailer bikes, giving Danes an eco-friendly way to haul their housewares home and proving, once again, that Denmark rocks the bike lane. 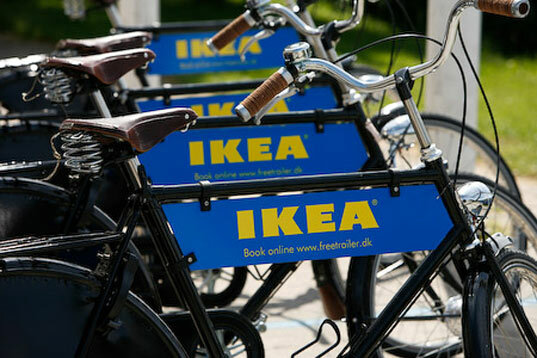 IKEA initiated the program upon finding that roughly 20% of their Danish customers ride their bicycles to the stores, even though most of them live outside of the city. Now for a nominal deposit they can borrow a trailer equipped bike that makes hauling moderately sized loads a breeze. The bicycles are beautifully constructed and look to be outfitted with Classic Brooks saddles. Their bright blue and gold emblazoned logos makes a lot of sense from a marketing standpoint, since they’re basically mobile billboards. The initiative is part of a trial run, and if all goes well then we can expect to see it spread to other cities and cycle-friendly countries throughout the world. With public bike programs just beginning to kick off in the states, we can’t wait to see more big box retailers embracing services such as these.